By entering your details below, you confirm that you are a professional client within the meaning of MiFID II, and that you accept to receive timely and relevant email correspondence from Lyxor ETF, with the option of opting out at any time. Will 2019 be the year the “dream” dies? European assets are pricing in very little economic growth, and have been trading far lower than their US peers. Sentiment could easily reverse should risks recede. Until now though, the catalysts for change have been catatonic as the region’s differences have deepened. However, long awaited clarity on Brexit, a resolution to the rupture with Rome, and an easing of trade tensions could spur a re-rating. With so much at stake, it’s time to cut through the noise and give you a rare view from inside the establishment on the future of the European dream. We asked Societe Generale Chairman, Lorenzo Bini Smaghi, formerly “Italy’s man at the ECB”, to tell us where he believes the region goes next and whether it’s finally time for less Europe, not more Europe. 1. Is it time for less Europe, not more Europe? Brexit, populism and a growing North-South divide have thrown the future of the euro project into doubt. EU members are either clamouring for “more” or “less” Europe and forthcoming European Parliament elections could have serious implications. Is the “dream” finally over? The views expressed in this video are those of Lorenzo Bini Smaghi, and not those of Societe Generale or Lyxor International Asset Management. The views expressed by Lorenzo Bini Smaghi are not intended to be taken as investment recommendations or product recommendations. The ETFs to consider were selected by Lyxor International Asset Management.All of our investment recommendations are recorded here, while you’ll find the key risks associated with each product here. TER and AUM correct as at 16/01/2019. 2. What can politicians & policymakers do to address populist concerns? Support for the EU is relatively low and the political landscape is shifting away from traditional centrist parties towards new (often more extreme) solutions. Europe’s migrant crisis, economic stagnation and a turning against globalisation have fanned the flames. Can the rifts be resolved? 3. How would you spur the growth that would entice non-European investors? Labour market constraints, new regulations and trade tensions have weighed on growth, while political uncertainty has weighed on business sentiment and hindered corporate investments. Non-European investors have fled the region in their droves. How do we bring them back? 4. Where do you think the ECB will go post QE and who could replace Mario Draghi? The ECB may have confirmed the end of QE, but it can’t remove all support. Slow growth and low inflation have proven stubbornly resistant to stimulus and that first rate hike seems ever more distant. Mario Draghi’s successor will have their hands full. Where does the ECB go next? 5. How will you be investing in Europe in 2019? Lorenzo Bini Smaghi reveals his preferences on European assets. In what he believes may be a year of slow growth and uncertainty, he shares his views in the medium to long term. With a preference for equities, Lorenzo still highlights the need for caution going forward. Where do the opportunities lie? 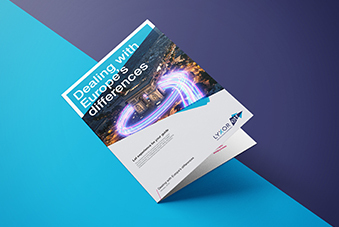 Our guide to Europe’s deepening differences aims to help you take control of your investments, your way. In it you will find a summary of the themes at play, a key chart to have in mind and the main events to look out for. You’ll also find some ETFs to consider using along the way. 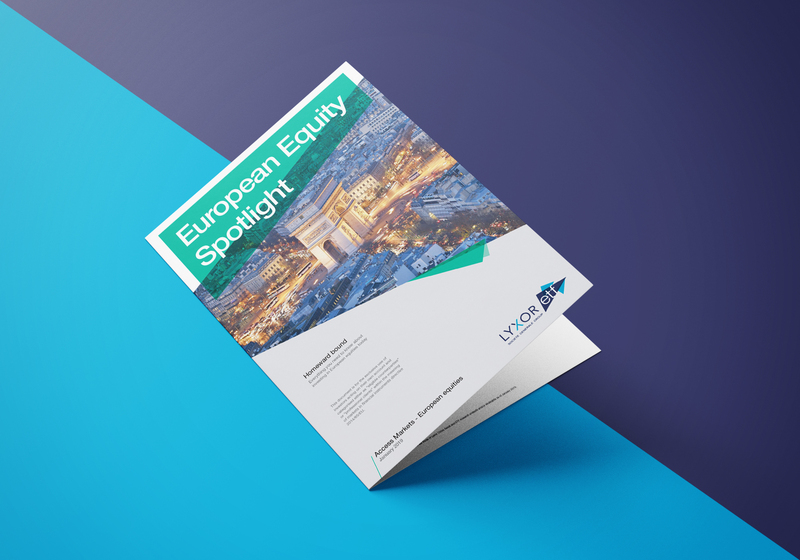 Our Spotlight was designed to guide you through the complexities of European equity indices, covering broad, country, sector and thematic exposures from every angle. It also examines fund flows, and reveals which investment vehicle to choose in which market. This short video tells you everything you need to know about our 45+ European equity ETFs. 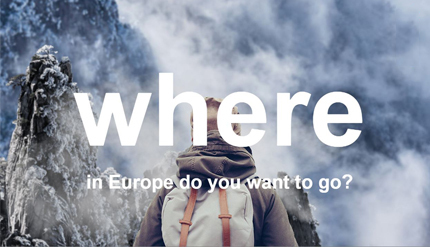 Our interactive tool could help you pick the right path through our 45+ European equity ETFs. Need help exploring our full range? We’ve organised more than 220 funds around 6 simple objectives, to help you on your investment journey. By entering your details below, you confirm that you are a professional client within the meaning of MiFID II, and that you would like to receive timely and relevant email correspondence from Lyxor ETF, with the option of opting out at any time. A number of technical terms are used on this website. If you are in any doubt as to the meaning of such terms, then you should first consult Academy section. There is also a FAQ function which explains some of the terms contained in the website. If you require further clarification please do not hesitate to contact us directly on [email protected], or call 0800 707 6956. General guidanceLyxor UK is the promoter of Lyxor UK Exchange Traded Funds. You cannot trade directly with Lyxor UK.A number of technical terms are used on this website. If you are in any doubt as to the meaning of such terms, then you should first consult Academy section. There is also a FAQ function which explains some of the terms contained in the website. If you require further clarification please do not hesitate to contact us directly on [email protected], or call 0800 707 6956. ​INVESTMENT RISKSThe Lyxor UCITS ETFs described on this website are not suitable for everyone. Investors capital is at risk. Investors should not deal in this product unless they understand, having obtained independent professional advice where necessary, its nature, terms and conditions, and the extent of their exposure to risk. The value of the product can go down as well as up and can be subject to volatility due to factors such as price changes in the underlying instrument and interest rates. If a fund is quoted in a different currency to the index, currency risks exist.Prior to any investment in any Lyxor UCITS ETF, you should make your own appraisal of the risks from a financial, legal and tax perspective, without relying exclusively on the information provided by us. We recommend that you consult your own independent professional advisors (including legal, tax, financial or accounting advisors, as appropriate). As of June, 2015, the long term, senior, unsecured debt obligations of Société Générale were rated A by Standard and Poor’s Ratings Services (S & P) and A2 by Moody’s Investor’s Services Inc (Moody’s). Companies are rated by S&P from AAA (highest rating / most secure) to D (lowest rating / in default / most risky), and by Moody’s from Aaa (highest rating / most secure) to C (lowest rating / in default / most risky). Managing editor: Nathalie Boschat, Head of the Lyxor Communications Department (Tel. : +33 1 42 14 83 21); e-mail: [email protected]).